Pharma Franchise for Psychiatry Medicines – Being an Independent entrepreneur is a dream of every businessman. Pharma Franchise business is the best venture to invest since it gives you the authority of being your own boss. Biofield Pharma is the eminent name of a pharmaceutical company that is providing Pharma Franchise for Psychiatry Medicines. These medicines cover different drug markets like Antipsychotics, Hypnotics, antidepressants, antianxiety, anti-seizure medications, stimulants, cognitive disorders and dementia, sleep disorder, etc. We are an ISO-GMP certified company to provide you with quality drugs in the form of Tablets, Capsules, Injectables, Drops, Syrups, etc. According to the report, the global drug market for Psychiatric Medicines is expected to grow at a CAGR of 2.50% by 2020. So, with the government’s support and healthcare reforms, the pharma market is expanding. Biofield Pharma is the leading name in the pharma industry for the genuine deals in pharma franchise. The company is offering the opportunity for Pharma Franchise for Psychiatric Medicines with the monopoly rights of distributions throughout the nation. We supply the DCGI-WHO approved drug solution with the commitment of on-time delivery. We are concerned about the mutual growth of our associates and the company itself, so we provide strategic marketing support for better business growth. You can join us for the pharma franchise business of Psychiatric Medicines. contact us at +91-98884-21594 or +91-9216300566. India is emerging as an opportunity for Psychiatric Medicines market expansion. Factors such as beneficial healthcare reforms, a large ageing population, increased health awareness, and a low-cost base is the major driving factors for market expansion in these the country. According to the report, the global depression drug market was valued at USD 14.51 billion in 2014. It is expected to generate revenue of USD 16.8 billion by end of 2020 which is growing at a CAGR of 2.50% between 2015 and 2020. So, these factors clearly demonstrate the scope of investment in Pharma Franchise for Psychiatric Medicines. 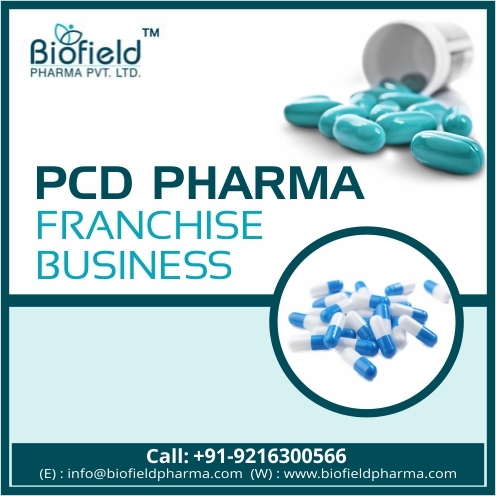 Biofield Pharma is enriched with the latest technology machinery and the dedicated staff support for the formulation, manufacturing and marketing of effective and safe drug solutions for the franchise business. We ensure you to provide the quality drugs on time along with the promotional backups. Along with these certificates you need to have a Hygienic facility to keep stock and a good understanding of market input. At, Biofield Pharma, we ensure you to provide market support for the better business experience in pharma franchise. Biofield Pharma is the name of a famous pharmaceutical company that has dominance in providing the quality services in Pharma franchise business throughout the nation. Our manufacturing unit adheres to the statutory global standards like WHO, DCGI and GLP for the quality production of medicines. Being a leading name in the pharmaceutical sector, we ensure to provide high-quality products. The company has a good brand image in the market because of its transparent business deals. We have won the trust of health experts with our high standard quality products. With increasing cases of mental illness and chronic usage of these medicines, one can deal in psychiatric medicines franchise for better deals. The business welcomes a good startup plans which you do on an economic budget. The earnings are extravagant with little effort. We will support you throughout your venture via the strategic business response. Simple pricing of all medicines like an anti-depressant, anti-anxiety, mood stabilizer etc. Impressive Profit margin and ROI.